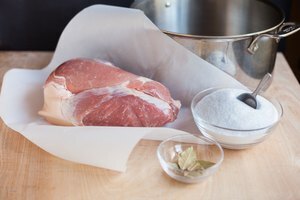 The term “corned” comes from curing meat in a crock-pot by covering the meat with rock-salt kernels or 'corns of salt, according to the Kitchen Project’s article, “The History of Corned Beef.” Modern day corned beef is beef brisket that is cured with salt and spices. 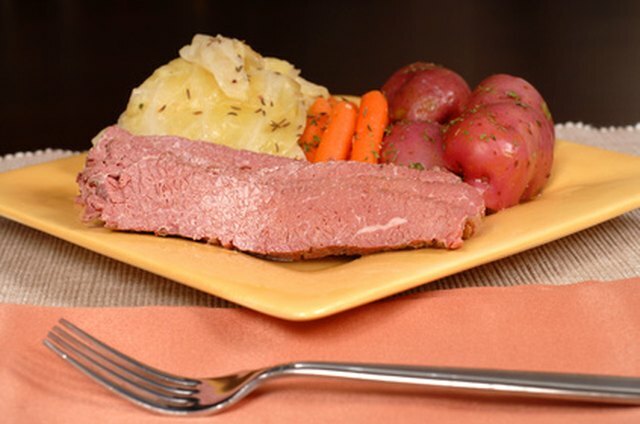 If corned beef is too salty for your taste or your dietary needs, you can boil the corned beef several times before your final cooking to reduce its saltiness. Place the corned beef in a large crock-pot or Dutch oven and cover with water. Bring the water to a boil. Remove the corned beef and discard the water. Fill the pot with fresh water and bring the corned beef to a boil a second time. Remove the corned beef and discard the water again. Prepare the corned beef following the package directions, or use your favorite recipe. 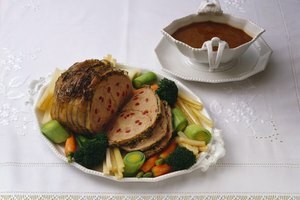 For something different, see the resources section below for a link to a recipe for baked corned beef. Boiling the corned beef before cooking will not only reduce the amount of salt, but will also boil away some of the fat and help to tenderize the meat. 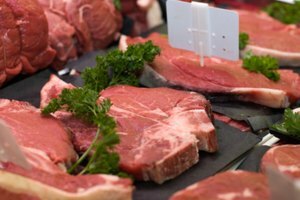 According to cookbook author and teacher Darina Allen, “the meat should be nice and firm and not bright pink. If it's too bright pink they've used too many nitrates." Laurie Marie has a Bachelor of Science degree from San Francisco State University in business/accounting. She is a payroll industry veteran who assists large corporations as an independent payroll consultant. She specializes in writing payroll, consumer and lifestyle topics. Her articles have been published in the American Payroll Association Paytech magazine and on eHow.